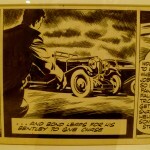 For all West Coast Bond fans, San Francisco’s brilliant CARTOON ART MUSEUM is hosting THE ILLUSTRATED WORLD OF JAMES BOND 007 on Saturday March 1st 2014. 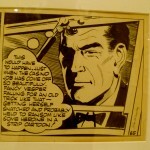 A look at Bond’s various news-strip and cartoon incarnations over the years, the night is hosted by Ron Evans (Cartoon Art Museum chair) with comedian and cartoonist Mike Capozzola and special guest Alan J. Porter (author, THE HISTORY OF THE ILLUSTRATED 007). 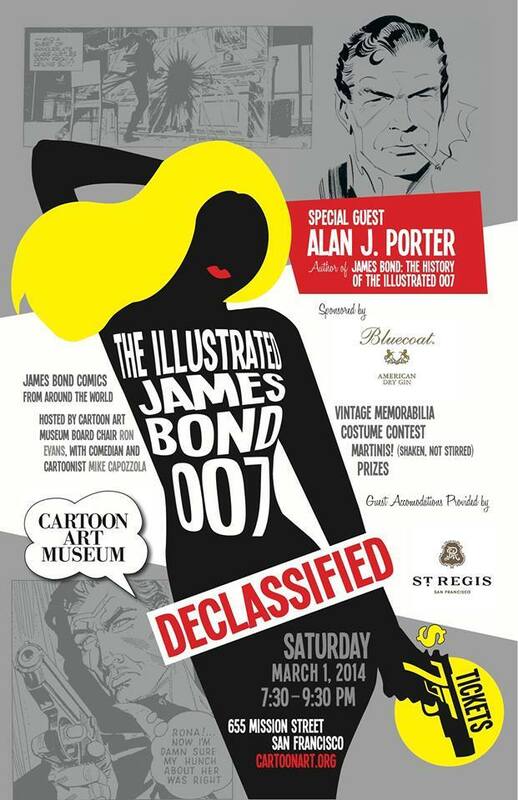 The evening is only $7 and promises to be a chat-fuelled, prize-giving, auction-minded and cocktail-ready celebration of all things illustrative 007. 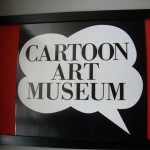 And the Cartoon Art Museum is an affordable must-see at any time of year. 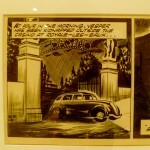 For more details of the night, click here. UPDATE! 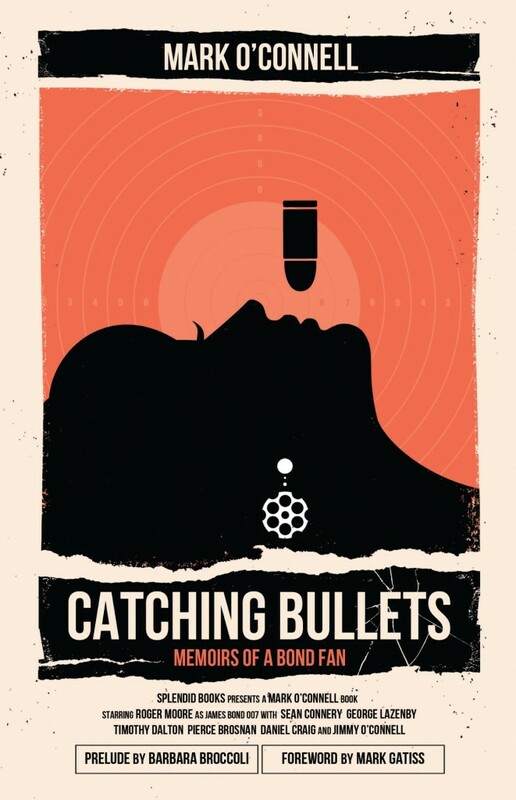 A signed copy of CATCHING BULLETS – MEMOIRS OF A BOND FAN is being auctioned as part of the event on the night of March 1st at the Cartoon Art Museum.